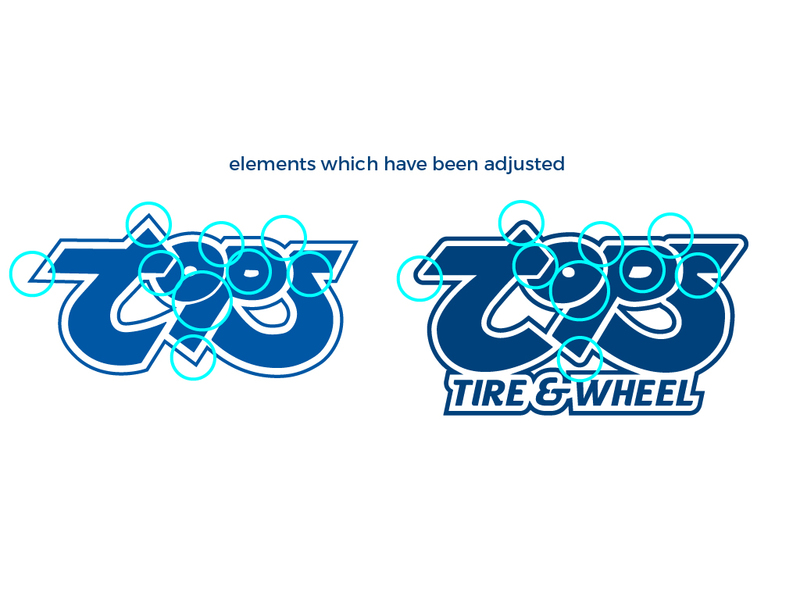 Founded in 1980 and having grown it’s way to a staple name as the go-to automotive, tire and wheel company in the El Paso community, Tops Tire & Wheel was ready for a logo update but was not looking for a drastic change. The company’s name was Tops, and throughout the years Tire & Wheel was added but never fully solidified into the original logo. Time had passed and the moment was here to bring it all together. Update the logo with modern sensibilities, solidify stationary for the business and stay true to the original logo’s feeling. Updating a logo is much like watching a person grow. Some changes are drastic and some changes are subtle, but easily noticed by those near and dear. Throughout out the design process we met with Tops to thoroughly discuss the feel and movement of the logo and what their vision of the future of the company. Tops had been through numerous business card designs by different print shops and was never satisfied. 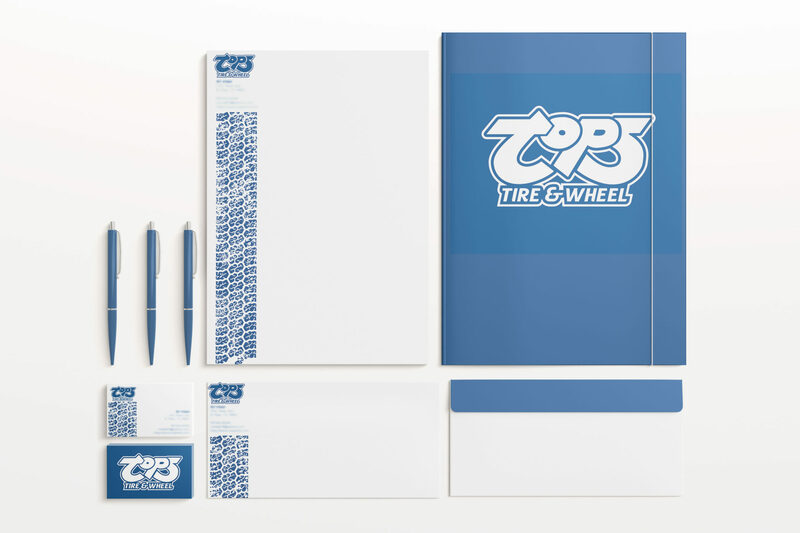 They were in the market for an effective set of stationary to use for years to come while maintaining the feel of the company brand. Our design team worked through concepts and this left a mark, literally. This fun tire mark concept paired with a bold blue leaves a lighthearted but strong impression. During the design process, the width was kept the same but the height was adjusted. Overall the new logo is taller due to the addition of Tire & Wheel, but the name Tops was reduced in size to keep the logo from veering to far off from the original. When studying the original logo, we noticed the width of the “S” was not consistent and felt very sharp. We adjusted the width to remain consistent throughout the letter and rounded the outline while keeping a point on the top stroke. During the sketching process, numerous version of the “T” were created and this version fit the best. The movement flowed, kept the reader within the name and did not crowd the addition. Highlighted above are the adjustments made to each letter to give the logo a modern sensibility but remain true to the original mark. From left to right.